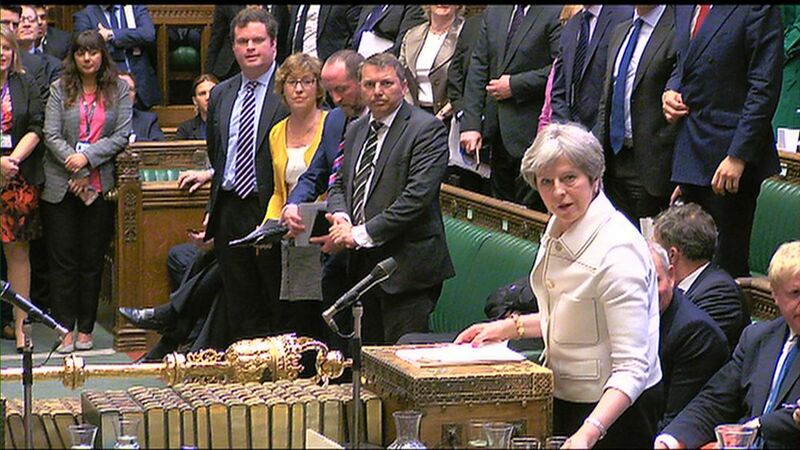 Two days after the strikes, the Prime Minister finally put her case for military action against the Syrian regime to the House of Commons. 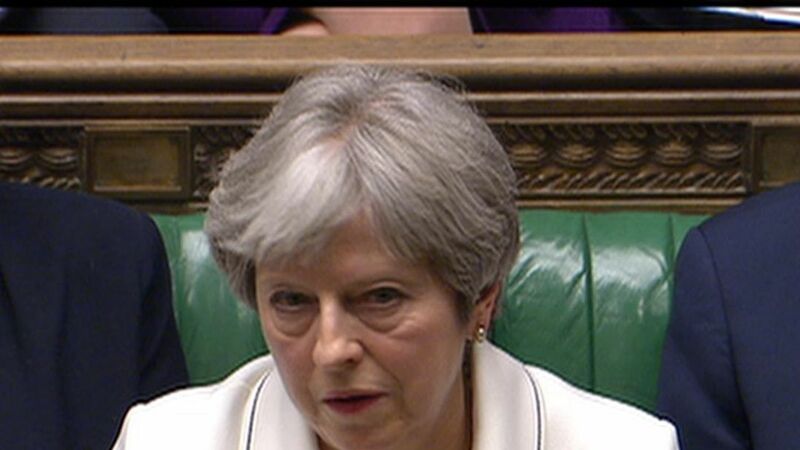 In three hours of questions from MPs, and also at the end of a further three-hour debate at around 11pm, the PM pushed her case that it was "morally and legally right" to act. :: PM denies launching airstrikes on Trump's ordersAnd the most obvious conclusion is that she would have got a majority had it been put to MPs.But the clearest action in Parliament was that which the Government chose to avoid - a substantive vote on this action.In a short update to MPs between the PM's statement and the beginning of the backbench emergency debate on Syria's future, the Leader of the Commons, Andrea Leadsom, was pilloried - particularly by SNP MPs - for the "flannel" of refusing a proper vote and a proper debate. And the Speaker John Bercow clarified a "muddying of the waters" from the Government benches on why there was no substantive Commons vote. "If the Government wants to table an amendable motion, it can do so. "The Government did no such thing," he said, having earlier written to the PM about her non-recall of Parliament last week. "I would of course have been happy to accede to a request for an earlier sitting... and it could have been voted on," the Speaker wrote earlier.Even the father of the House, Ken Clarke, supportive of the military strike, suggested a reason for avoiding a vote. "I can't rid myself of the unworthy suspicion there may be doubts as to whether we'd get a majority for it, whether we'd repeat 2013," he said. Indeed, Mr Clarke suggested Mrs May would only have been strengthened by having Parliament behind her.So the result here is that the convention on consulting Parliament ahead of military action, previously a feature of UK politics, has now been made redundant. For Number 10, the official line is that it always had an exception for "emergencies", and the Prime Minister defined the humanitarian situation in Douma as an emergency.But in practice, it seems like this prime minister, who leads a minority government, now has a greater degree of executive power over military matters than her predecessor, who had a majority.And yet this comes at a time when the public seems distrustful of experts, and politicians, particularly on military matters.MPs returning from their Easter break are largely flabbergasted by the sheer size of their postbags from constituents taking seriously the idea that Douma and even Salisbury were set-ups of some sort.The polling on Syria is better for the Government than it was last week, according to Sky Data, but still, half the public think Parliament should have made the final decision.There was a reason why, post-Iraq, successive governments offered some sort of parliamentary check on the Executive's military power. It has proven popular in this low trust era.At a time when the leader of the free world tweets missile threats at a variety of rogue states, there may be unforeseen risks in it being effectively abandoned.